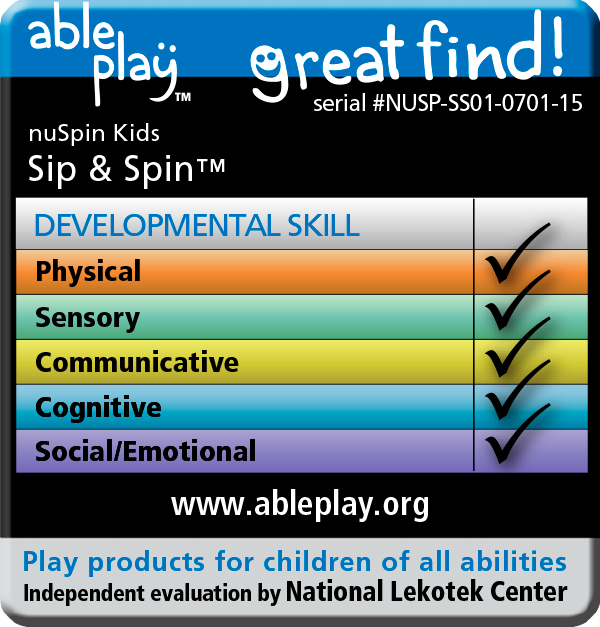 Please visit the National Lekotek Center and their AblePlay toy rating site for more information. 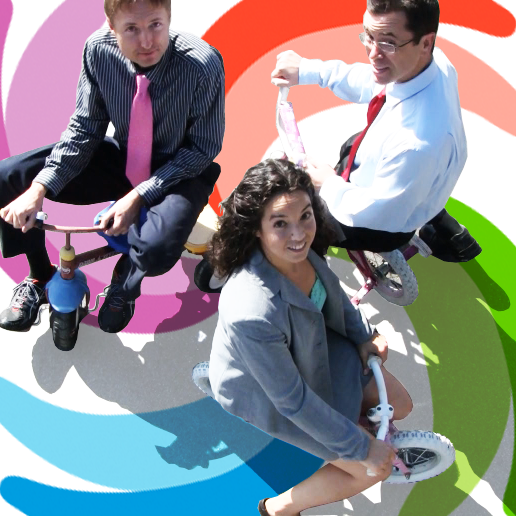 Sip & Spin – Today’s Kickoff! Today is the day! 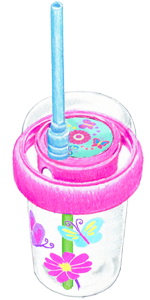 After a year of intense development, our cool new kids straw cup is ready for launch. Our Kickstarter campaign is now live – check out our awesome video here. It’s definitely a “must see”. After the dust settles, we’ll probably forward it over to the Academy to see if we can pick up an Oscar for cinematic excellence and cutest cast. We’re offering an “EARLY BIRD SPECIAL” reward, where the first 100 people to pre-order a Sip & Spin Cup get 10% off. So basically you can get the best cup ever conceived, before anyone else has it, and for a lower price. Kickstarter statistics show that a campaign with a strong opening is very likely to succeed. Please back us and share this post with friends, family, co-workers, etc. You’ll get the satisfaction of supporting a startup business, plus our eternal gratitude, which will last about as long as the cups – forever. Sip & Spin Kickstarter Launching Tomorrow! We want to give you the first crack at our early bird special on Kickstarter – we will launch tomorrow! Be sure you are signed up for our newsletter and check your email first thing tomorrow to get the link to our Kickstarter page. 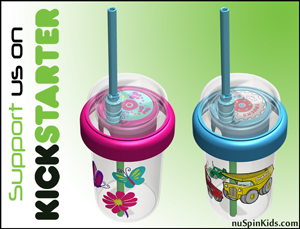 The first 100 early birds to back our project get a 10% discount on the Sip & Spin Cup. We are so excited to enter this new phase of our project. It’s a giant step toward the finished product. We really appreciate all the encouragement and support we’ve gotten from you already, and we’d love a bit more at this critical time. Please share our Facebook page and spread the word. If you have any questions about the Kickstarter process or the cup in general, please comment here or send us a message. We got some great feedback from our recent survey and are moving forward with a blue cup with trucks and a pink cup with new graphics, probably butterflies and flowers. 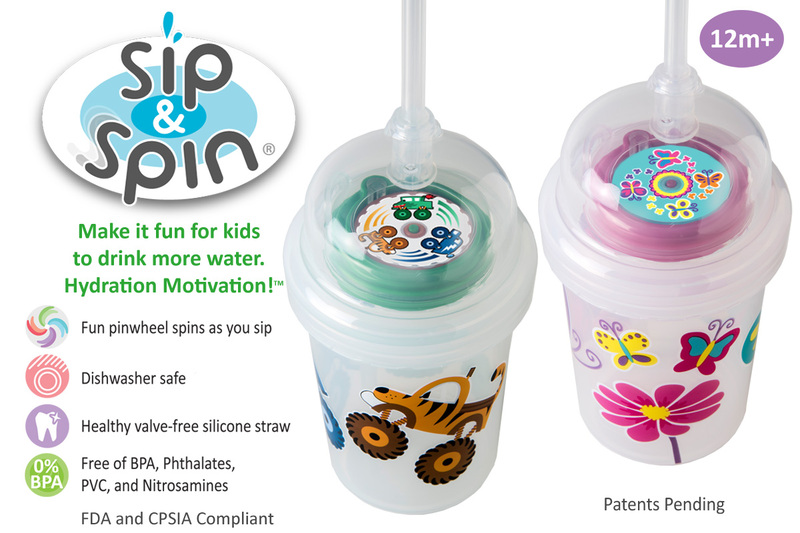 We have names, too: the Sip & Spin Cup and Snappy Straw. Thank you for helping with these decisions, we love feedback, so feel free to keep it coming by commenting on this blog post or through the contact us page! Hope you all have a fun-filled Halloween! Hi everyone, we are really excited to get this going! Stay with us and soon you will see: our Kickstarter.com campaign updates, product development status, special offers, event announcements and much more! Thanks for stopping by.